“Utterly superb.” —ALA Booklist, starred review“Dark, fantastical, hauntingly evocative.” —Kirkus Reviews, starred review“An empowering and progressive original retelling.” —SLJ, starred reviewSixteen-year-old Mina is motherless, her magician father is vicious, and her silent heart has never beat with love for anyone—has never beat at all, in fact, but she’d always thought that fact normal. She never guessed that her father cut out her heart and replaced it with one of glass. When she moves to Whitespring Castle and sees its king for the first time, Mina forms a plan: win the king’s heart with her beauty, become queen, and finally know love. The only catch is that she’ll have to become a stepmother. Fifteen-year-old Lynet looks just like her late mother, and one day she discovers why: a magician created her out of snow in the dead queen’s image, at her father’s order. But despite being the dead queen made flesh, Lynet would rather be like her fierce and regal stepmother, Mina. She gets her wish when her father makes Lynet queen of the southern territories, displacing Mina. Now Mina is starting to look at Lynet with something like hatred, and Lynet must decide what to do—and who to be—to win back the only mother she’s ever known...or else defeat her once and for all. Why Did I Listen To Girls Made Of Snow And Glass by Melissa Bashardoust? 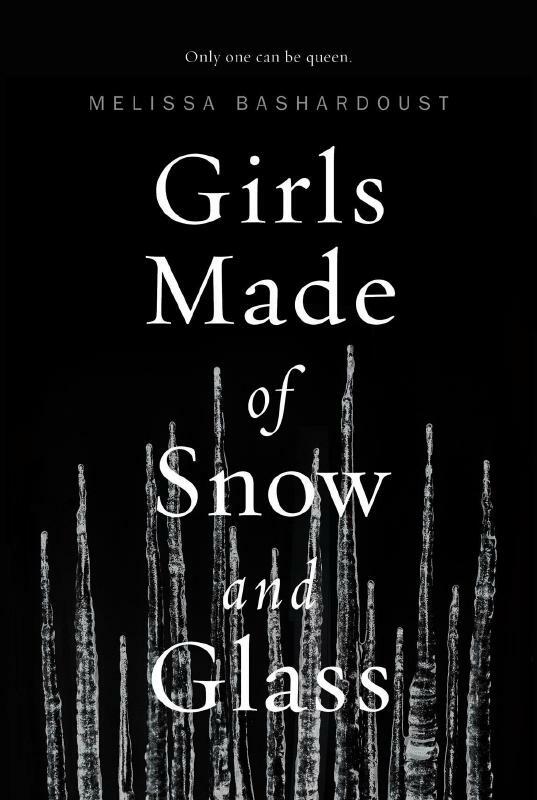 Girls Made Of Snow And Glass by Melissa Bashardoust absolutely appeals to me because it is a feminist retelling of Snow White (at least that is my impression). I felt like this book was completely up my alley. I saw it on Hoopla and it took me all of zero seconds to decide to use one of my monthly borrows. Bashardoust’s debut was a compelling and fantastic audiobook. As it turns out, my expectations were met with this audiobook. Girls Made Of Snow And Glass follows two main characters – Mina and Lynet. At one point in the story, Mina is a sixteen year old girl with no mother and a magician father. Her heart doesn’t beat and she is kind of cold. Eventually she goes on to marry the king and we see her as an adult and as the stepmother to Lynet. Lynet meandwhile during the story is fifteen. She looks exactly like her dead mother. Only, Lynet would rather be like her stepmother Mina whom she admires very much. As it turns out though, Lynet isn’t actually born of the dead queen but was made of snow. Regardless, her father makes her queen of the lands that Mina had originally been in charge of. So, it kind of sets these two women up to be rivals. Only, they have to subvert that to both come out okay in the end. How Did I Like Girls Made Of Snow And Glass? I found Girls Made Of Snow And Glass to be a very compelling listen. Bashardoust wrote a book that honestly was perfect for me to begin the snowy season with. I felt like it was atmospheric. Also, it was great how this book turns the evil stepmother trope on its head. It is so cool to see positive relationships between women. Also? There is the fact that there is not a handsome prince who saves Lynet. Rather, she falls in love with another young woman. It is sweet and wonderful. There’s really just a whole lot to like about this book and I feel good about wholeheartedly recommending it. The audiobook is narrated by Jennifer Ikeda. I am actually not sure if I have listened to an audiobook narrated by her before. If not, I certainly want to pursue more of her narrations. She does a really bang up job. Her voice is well suited to this kind of fantasy story. I did not find my attention wandering while listening. Ikeda legit has exactly what I want to hear when listening to a fantasy audiobook. Girls Made Of Snow And Glass is 12 Hours and 56 Minutes long but well worth the time.